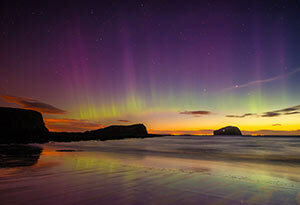 Where to witness the Aurora Borealis? Aurora Borealis is perhaps one of the most breathtaking collisions (of electrically charged particles with that of gases such as Oxygen and Nitrogen) to witness in nature! 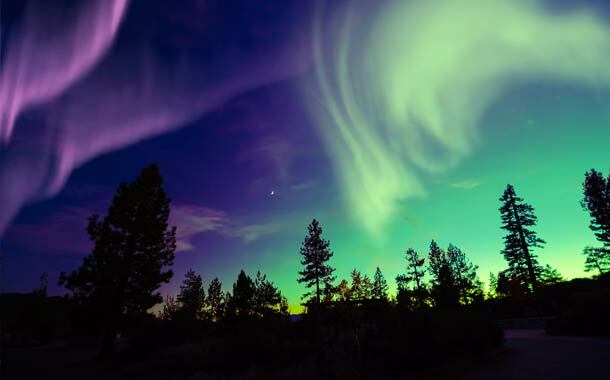 Without a doubt, this stunning phenomenon, which is synonymously known as the Northern Lights in the Northern Hemisphere and Southern Lights in the Southern Hemisphere, features in most "Ultimate Travel Bucket List"! After all, how could someone not want to take the first flight available to see bands of intertwined colours dancing in the night sky, amidst vast sparseness? This is a simply spectacular and natural phenomenon but one which can only be witnessed under specific conditions at particular spots. Here are five places in the Northern Hemisphere which will offer you great views, and chances, for spotting the Northern Lights in all its glory. Alaska’s convenient location under the Aurora Oval makes it almost a sure shot destination to catch a glimpse of the fantastic light displays throughout the state. Even then, the best location here would be Fairbanks (farther away from the city lights and closer to the regions such as the Denali and the Yukon). 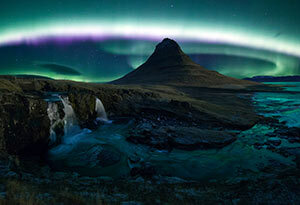 Norway is one destination where you can see the Aurora Borealis practically from anywhere in the country. However, the best spots would be those above the Arctic Circle in Northern Norway or the more attractive destination, the island of Svalbard. 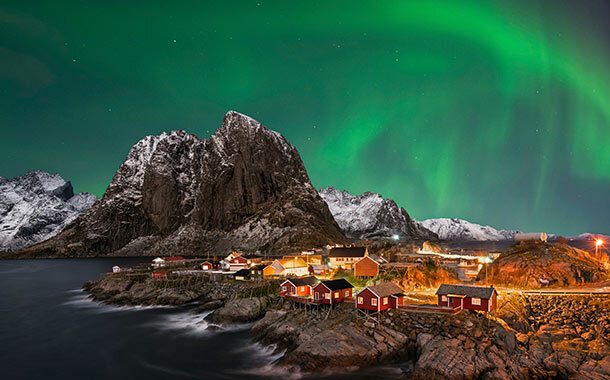 This Norwegian island is quite high in the Arctic region, which means higher probability to catch the Northern Lights. Besides this effect, there is another natural phenomenon that attracts tourists to this island as well, the Polar Night event. Svalbard has hardly any daylight starting mid-November until the end of January. With just the faint blue twilight that it gets, which actually increases the chances to see the Aurora, it is a unique experience for most people. Iceland is definitely amongst one of the most affordable destinations to experience the Northern Lights and has been gaining credibility, popularity, and fame for it. You can spot the stupendous phenomenon from almost anywhere in Iceland, but do try to escape the bustling capital city of Reykjavik for the ultimate spectacle. We highly recommend the Þingvellir National Park for the best scenes. The Lappland region in Sweden is a picture-perfect destination to witness and enjoy the Aurora Borealis effect. Abisko, a small village near to the Norwegian border, is strategically located next to one of the largest National Parks in Sweden, where people come from all over the world to enjoy the lights. The area around Abisko is scientifically proven to be an ideal viewing spot due to its unique microclimate which manifests a “blue hole”- a patch of sky over the Torneträsk lake, that always remains clear despite the varying climate. The Finish Lapland too offers a splendid location to see the Northern Lights. Here, one can imbibe the magical and colourful views from private glass igloos at the Kakslauttanen Arctic Resort, located in Saariselkä village. Else, opt for a stay in a traditional cabin fitted with sauna and open fire.